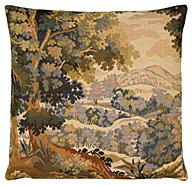 Meaning greenery and large leaves, these tapestries feature country scenes, plants and animals amidst abundant leaves and many having wide intricate borders. These tapestries were much favoured by the aristocracy. 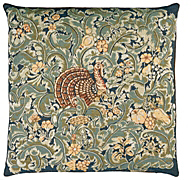 Many of these tapestries originally date from the 17th and 18th century. 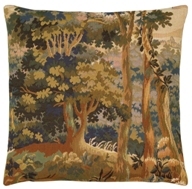 Greens and old burnished golds are common colours found in this selection, with some magnificent forest tapestries. Some especially large pieces may be found here. Not all are available for viewing on the website. We welcome enquiries. Please contact us for further designs.